From heat pumps, boilers and furnaces, to ductless heating system, All Seasons Air Conditioning offers a wide selection of heating products that match your comfort needs, wherever you are. Our boilers use state-of-the-art condensing technology with maximum efficiency on both speed and energy. Economical and environment-friendly, these boilers offer a smart heating option that suits your comfort requirements. 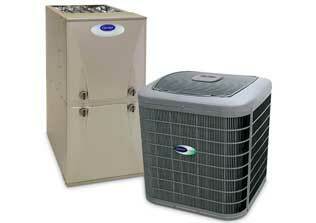 All Seasons Air Conditioning has a lineup of multi-speed furnaces that deliver optimal savings on energy costs. Talk to our experts to find out what type of furnace equipment is best for your space. The technology behind our heat pumps is to offer advanced and superior features that make both heating and cooling energy efficient and easy. Call us to know if a heat pump system is fit for your home or commercial space. Avoid the hassle of installing ductwork by using a single heating system that can deliver heating comfort throughout the house. Our ductless heating systems are designed to cut your heating costs while saving space. When it comes to heating systems, making the right choice is vital to your home and office comfort on Long Island, NY. Worry no more because we’ll help you discover the best heating product perfect for your space. Once we found your ideal system, our team will have it set up quickly so you and your family can enjoy a cozy home during the cold season.